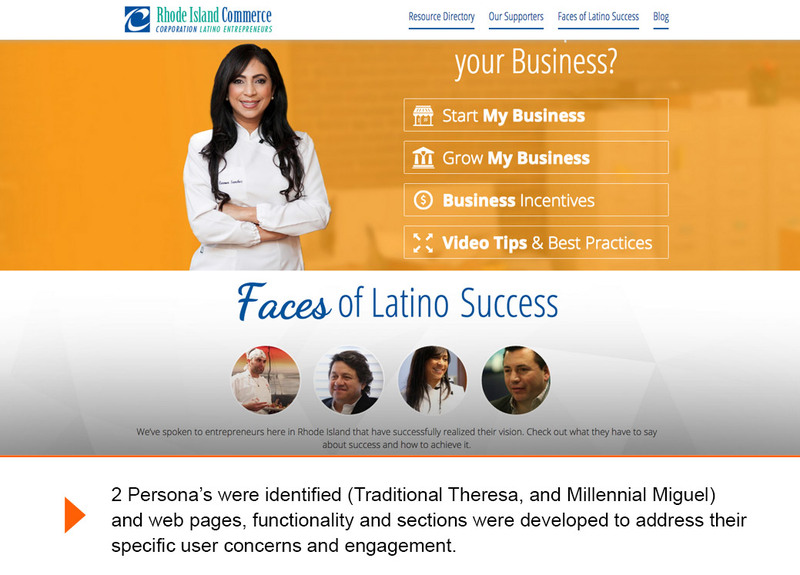 Latinos make up approximately 13% of the RI population according to a survey conducted by the Pew Hispanic Center. 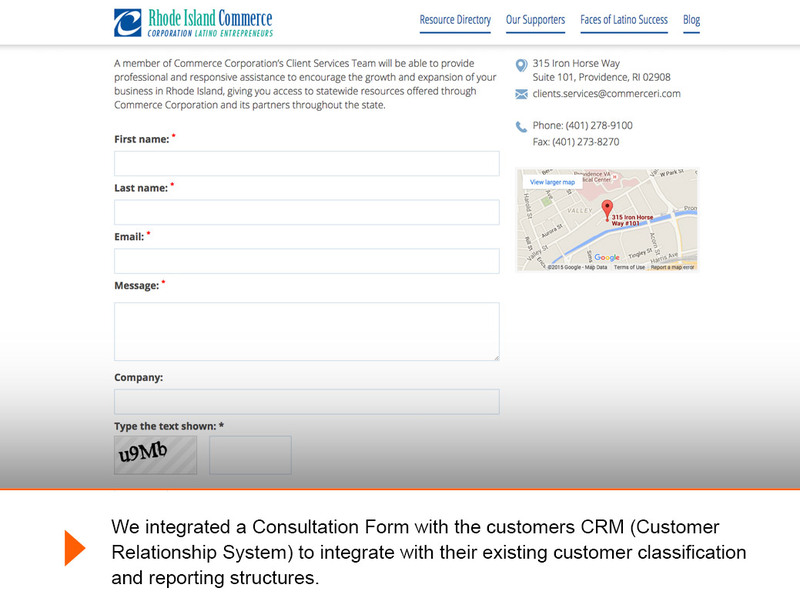 According to WalletHub.com, Providence, RI ranks 150 as the worst city for Latino Entrepreneurs. 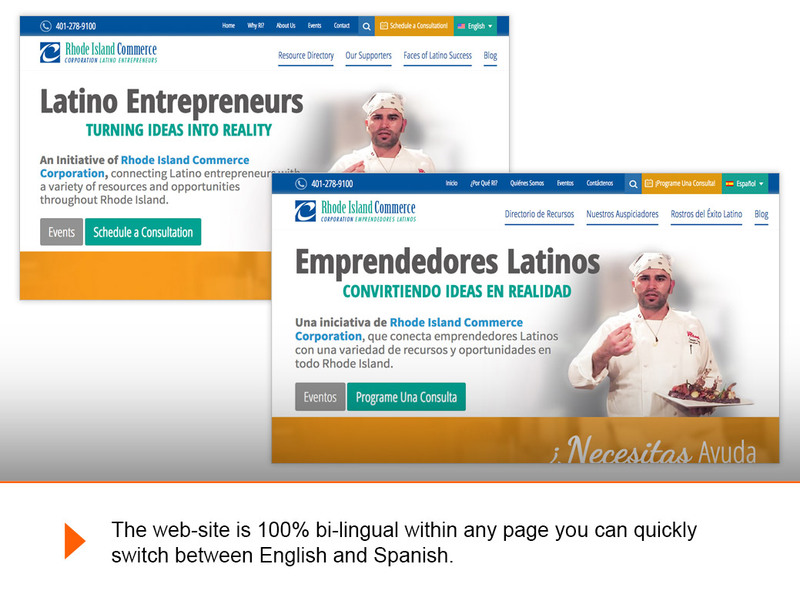 To tackle the challenge of fostering economic success for Latino entrepreneurs in RI, discourage underground economics, and encourage economic development CommerceRI partnered with Xzito to launch a communication campaign. 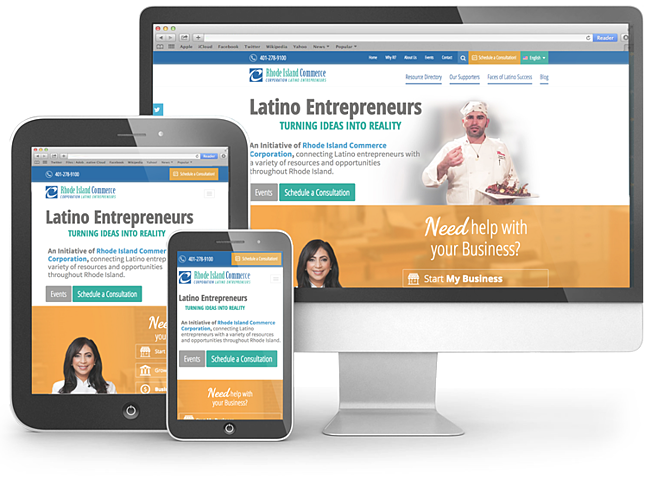 We surveyed Latino Entrepreneurs, and conducted a few meetings with local business leaders and entrepreneurs. 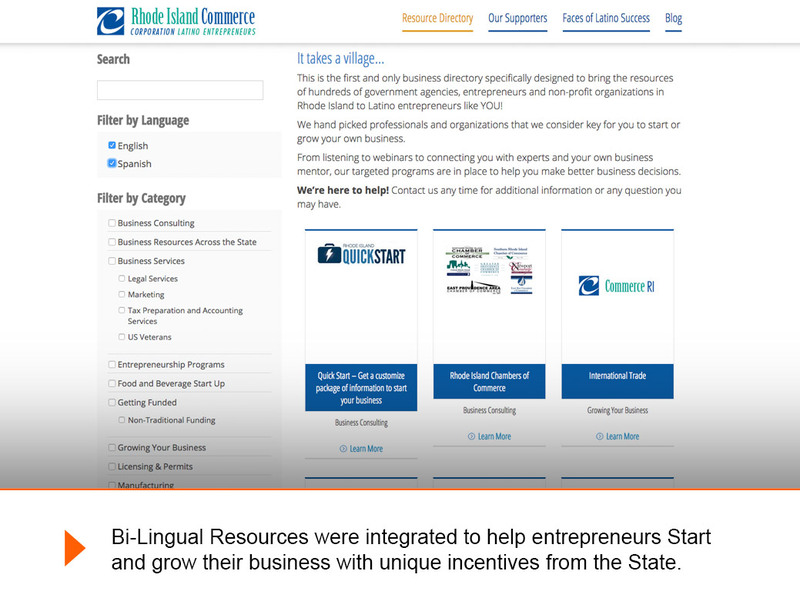 We also researched other organizations focused on Economic Development in other states and from our research developed a game-plan that highlighted a strategy to connect with two target persona’s, key performance indicators to measure success, and a blueprint to build a communication platform to engage, connect and grow Latino Entrepreneurship.